Luke often gets asked questions along the lines of ‘how did you turn illustration into a career?’, ‘How did you develop The BearHug Co?’ and so on. Well, to answer these questions, we must begin with the humble admittance that The Bearhug Co was more or less founded on the back of a late night Zombieland viewing. Bill Murray’s infamous cameo in the film, reminded many of us of what a great, iconic actor he is, for Luke, admiring a popular figure often means drawing them, so that is what he did. 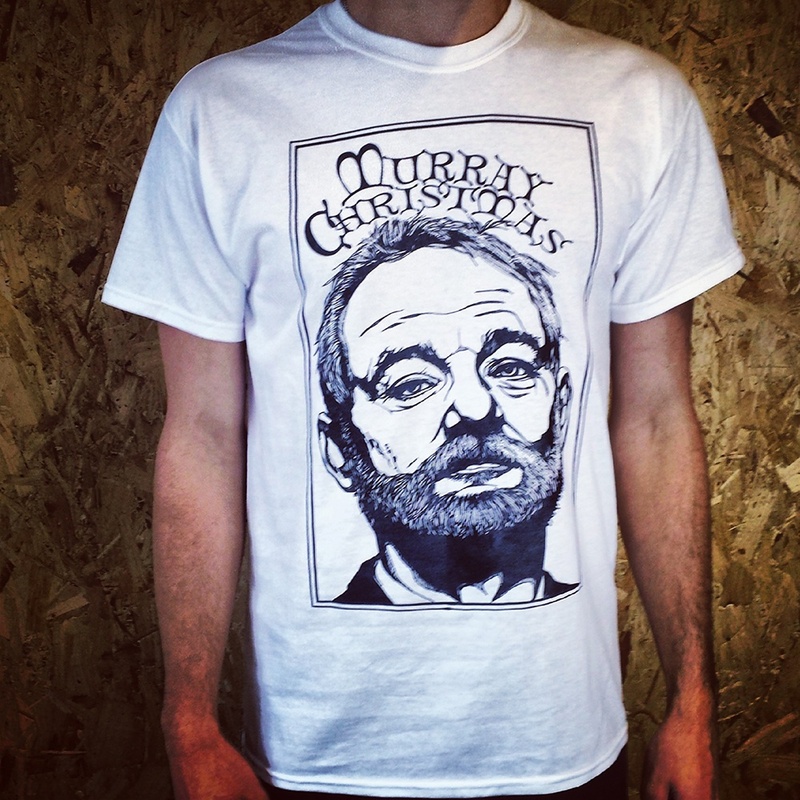 A while after completing a sketch of Murray, Luke came up with the idea of a Bill Murray ‘Murray Christmas’ t-shirt featuring the sketch he had already done. The t-shirt was a hit; it sold out in four hours and not only led to the BearHug Co Christmas t-shirt tradition, but also provided the basis for the development of the company as a whole. 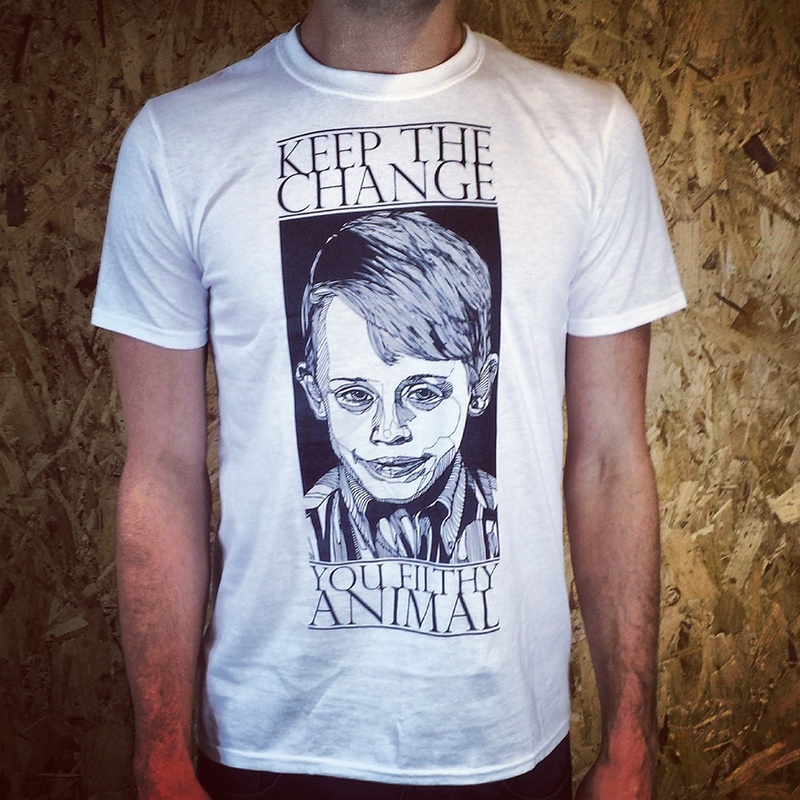 The following year, when working on other BearHug Co designs, and without particularly planning to follow up on the success of the Murray Christmas tee, Luke had a second Christmas-related t-shirt epiphany, this is when the Home Alone ‘Keep The Change’ tee was born. Helped along by a feature in Front Magazine, there was a massive online reaction, leading to an immense growth in Luke and The BearHug Co’s online popularity. After the previous two successes, by 2013 the BearHug Co Christmas t-shirt was a must. 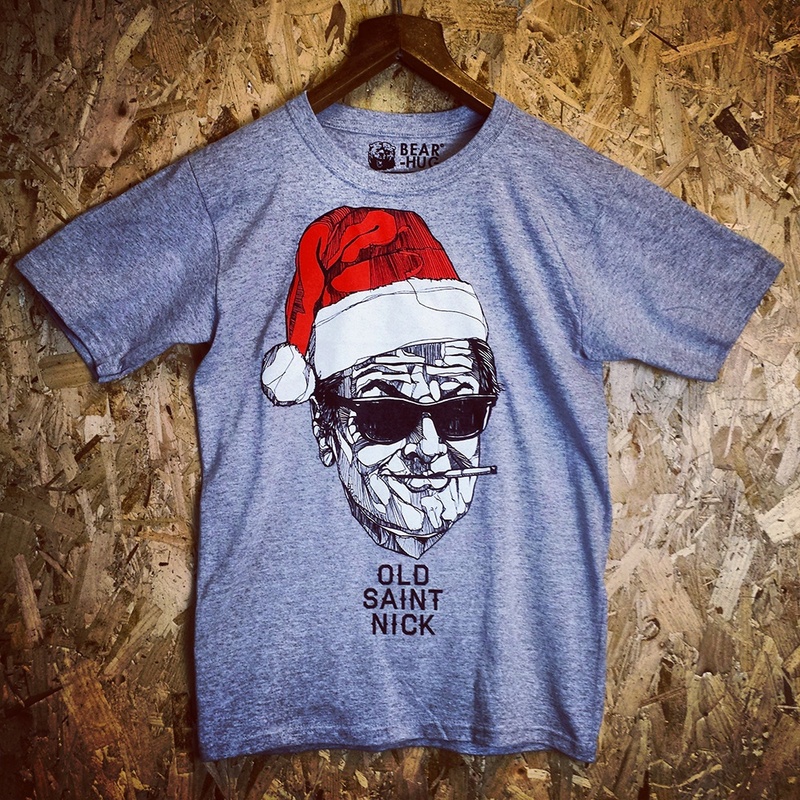 Following on from the ‘Murray Christmas’ and ‘Keep the Change’ designs, the ‘Old Saint Nick’ Jack Nicholson t-shirt equalled their success. All three Christmas t-shirts are currently sold on the website, but what is ever so slightly more exciting, is that a new design will be available soon. 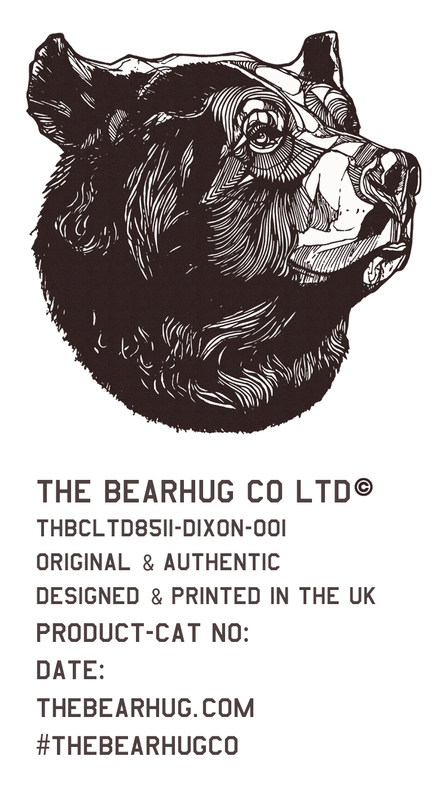 The 1st November marks the release of the fourth limited edition BearHug Co Christmas t-shirt. Get it marked down on your calendar!